This recipe is the best kind: throw everything into a slow cooker, set it and forget it. Only a small amount of effort went into it: browning the chicken, a little chopping, a little grating and can opening. Nothing major, and the entire thing was prepped and ready to go in 15 minutes. There’s nothing like walking in the door and knowing that dinner is waiting for you. 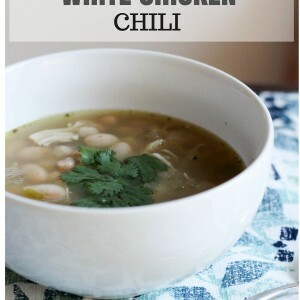 I made this recipe with chicken, but it would also work extremely well with tofu. Just make the sauce on the stovetop and let it simmer for 20 minutes. While it’s simmering away, bake some firm, cubed tofu, seasoned with olive oil salt and pepper. Stir the tofu cubes into the sauce and there ya go. Here’s the recipe if you’d like to give it a try! It’s especially decadent with Almond Breeze and salted butter stirred in before serving, and garnished with fresh, chopped cilantro. A hearty slow cooker meal featuring a creamy sauce and some favorite Indian spices. This is a lightened-up version of a beloved favorite. Vegan option is included in the notes, too! 1. Brown the chicken on the stove (in butter or olive oil) for about 10 minutes, seasoning well with salt and pepper. 2. While the chicken is browning, add the onion, tomatoes, tomato sauce, green chiles, tomato paste, cinnamon, cumin, coriander, ginger and garlic into the slow cooker. 3. 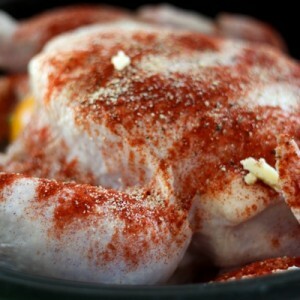 Top the slow cooker ingredients with the browned chicken and stir well. Season with salt and pepper before covering. 4. 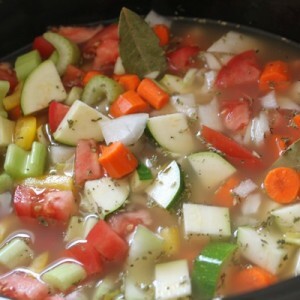 Set the slow cooker to cook on low for 4-6 hours. 5. Before serving, stir in the almond milk and butter, then garnish with chopped cilantro. 6. Enjoy over rice or sautéed veggies! -Use a block of your favorite tofu, pressed, drained and cubed. -Make the sauce on the stovetop by first sautéing the onion, green chiles and garlic in some coconut oil. Season well with salt and pepper. After above 5 minutes, stir in your spices. 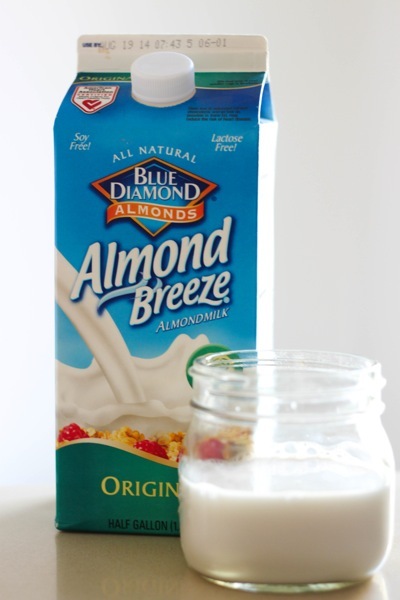 -Remove the tofu from the oven and gently stir into your sauce, along with the Almond Breeze. -You could also add 1 cup of frozen peas here! Favorite Indian food dish? Any weekly meal traditions? 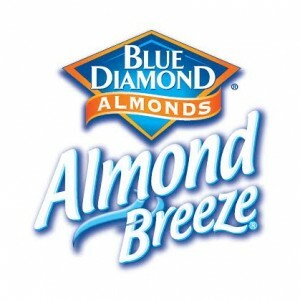 This post is sponsored through my partnership with Blue Diamond Almond Breeze. Of course, all opinions are my own. Hope you enjoy the recipe! I never thought of using almond milk in my chicken casseroles. That’s a great idea! I love crock pot meals. It really does make meals easy when life gets crazy. Our go-to Indian dish is a chicken, green apple, and butternut squash curry. 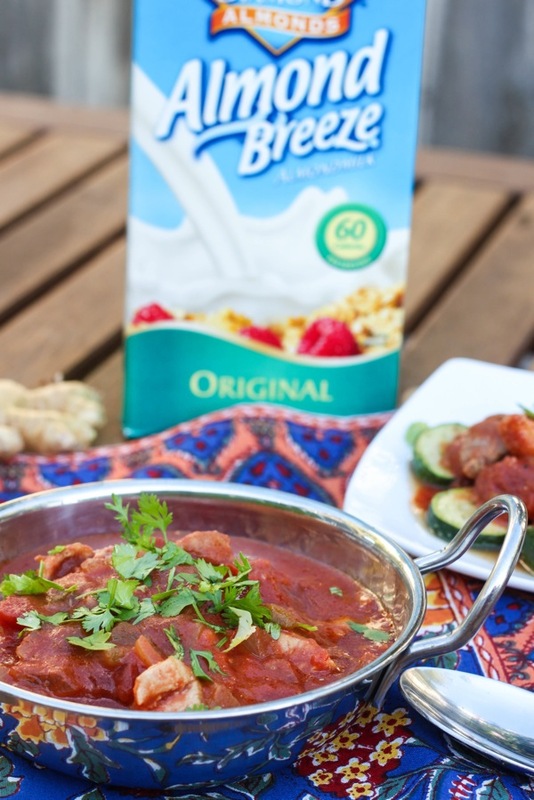 Served over quinoa that’s been cooked in coconut milk…delish!!! 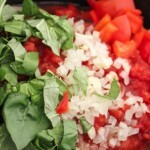 I also love the simmer sauces for an easy crock pot option. I have the hubs on the Indian train, so I will definitely have to give this one a try! Unfortunately I don’t have a slow cooker. Ohh yum!! This looks delicious and I love that there’s a veggie option. I’ve been looking for some new slow cooker recipes. Thank you! I’m not really into Indian food, but my mouth actually started to water when I saw the pictures. Hmm, maybe I have to try your recipe? When it comes to weekly meal traditions, I only have one (and it’s rather unhealthy); pancakes for lunch on thursdays. Yummy! Looks delish! Do you think regular milk would work as well? Ummm…have you been stalking my thoughts??? I’ve had a fresh supply of green chiles picked from the garden, and a hankering for Indian while my hubby is out of town this week — Spicy food and Indian food are two things he HATES, so I save them for when he is gone. 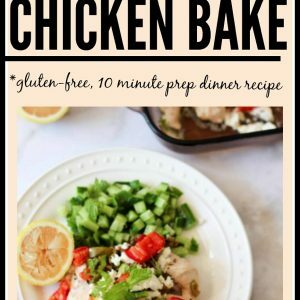 I’ve been trying to drum up ideas on what to make using what I already have on hand (already hit my grocery budget for the week), and this recipe NAILED IT. Thank you! That looks delicious! I noticed you served yours over sliced cucumbers (?) instead of rice. Great idea! I love Indian food! Chicken Tikka Masala is my favorite…Also, I wish gluten free Naan existed but I have yet to discover it. 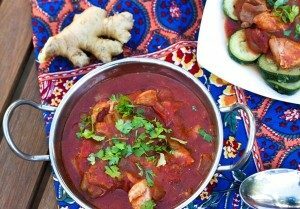 My bf claims he doesn’t want to eat Indian food for fear of it being rich and upsetting his em…stomach…but I plan to make this for him and trick him into loving Indian food. ha! A little off topic but thanks to you 🙂 I am considering trying out a Barre class, however, we don’t have “Pure Barre” close by but there is a studio offereing “Barre” classes. Is there a big difference between the two? This recipe sounds yummy! I’d like to try it out. What size slow cooker did you use? (Mine is not especially large – 3.5 quarts, I think – so just want to see if I need to cut back the recipe.) Thank you! mine is a standard slow cooker- i think it’s 6 quarts? it didn’t fill it up all the way. if anything, i’d just use less chicken. let me know how it turns out! YUM! I love channa masala and bainghan bharta (or however you spell it haha). We used to do Indian food Wednesdays and taco tuesdays every week…maybe I need to bring that back. YUMMO. Give me all the chicken and veggies in that pot. When I was living in India my Indian friends taught me how to make Butter Panneer Masala. Interestingly, they used a cashew paste, which gave the gravy it’s buttery, creamy look! They said you could also use ground up cucumber seeds (!!!). wowwwwwwwww. my mind was just blown! that sounds amazing! Slow cookers are my faaaavorite. can’t wait to try this out! 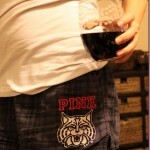 I would like to make this on a weeknight when school starts. I would be making this for my children. Is it spicy? My kids won’t eat it if it is, leaving me to eat it for lunch and dinner the rest of the week! 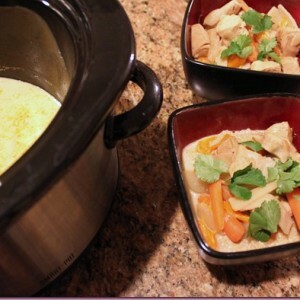 Slow cooker meals are the best, so easy and so flavorful! I can’t wait to try this recipe! It’s easy and the ingredients are simple! This looks delicious! Butter chicken is so good! In the crockpot right this minute! 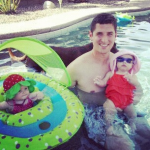 Thank you so much–this is perfect timing for our ‘summer polar vortex’ and rain weather! I love Indian food! I love paneer tikka masala, Chana masala, and malai Kafta. Your recipe looks great! I wonder what it would be like with coconut milk instead? I might try it! I made this tonight and left out the chiles, tomato pasta, and coriander because I don’t like too much heat (terrible, I know) and didn’t have the other things, but it was fantastic! it’s definitely going on the “make again” list! I made this last night and my family loved it. We served it with brown rice and roasted okra. It wasn’t spicy at all, which was perfect for my toddler, but my husband and I were happy to add on the spice later.